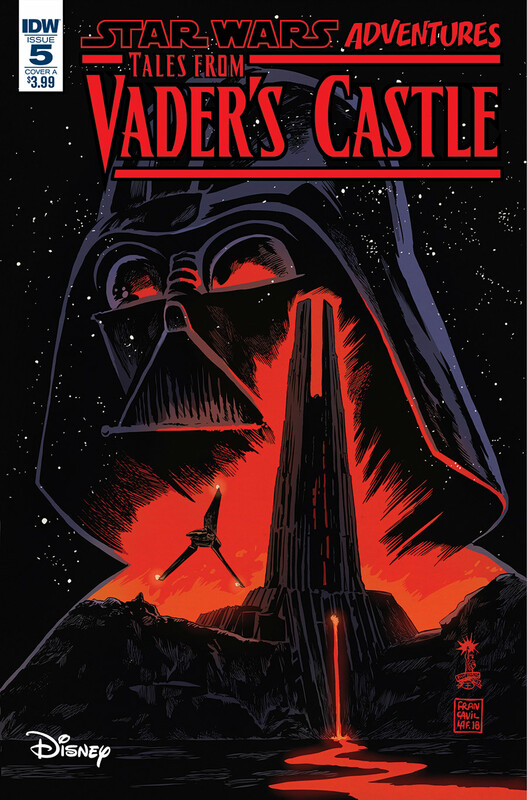 Star Wars Adventures: Tales From Vader’s Castle #5 wraps up the mini-series and ties together the various stories. This one really drives home the morality tale, lesson to be learned story aspect, and it’s a happy ending for most of the characters. It’s also careful to leave a little sting with Vader to keep from hurting his mystique. On the plus side, this issue is a fun little story. The artwork is descent, and it ends with a satisfactory ending. On the minus side, we don’t really learn anything about Vader or his castle, but I suppose those stories are being left up to Marvel. Unlike the previous issues, this one doesn’t really have a core sub story. Instead, the framing story because the main story, and there’s just one small flashback that hints at another story. Aside from that, they just highlight some of the previous stories as Skritt learns from their lessons to become a hero. As an adult, this issue is fun, but it is targeted at kids. If you’ve been reading the series, you’ll want to check this one out just to see how it ends. However, this one on its own doesn’t really merit a purchase for the adult Star Wars fan who is picking and choosing what comics they pick up. I give it a three out of five baby nexus.